Through the first four rounds of the Hot Water Tour [watercraft race series], RIVA Racing�s Kane Cahill has dominated three different classes aboard a RIVA prepped Sea�Doo RXP placing first in all but two out of fifteen moto�s competed in. Equipped with RIVA Racing�s Stage II Package (see www.rivaracing.com) Cahill competed against other watercraft with equal or higher levels of modification in closed course, super course and open classes. 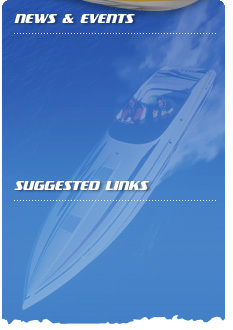 �My RIVA powered RXP performed flawlessly. The mid-range and top-end power are incredible. It just keeps pulling and pulling�, stated Cahill after winning his tenth race of the series. 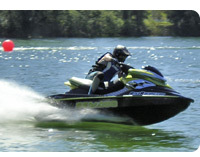 To date RIVA has performed over one hundred hours of testing with their Stage II package using their in-house engine Dyno and Sea�Doo RXP test unit. Next in line is their Stage III Kit. Information to be released at a later date. 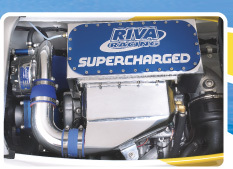 For more information about RIVA Racing Performance Packages please visit www.rivaracing.com or contact RIVA at 1-800-241-4544 (outside the US 954-785-2684).